''Born to Sun'' is an astonishing investor's dream - not only the amazing home, but also the income! Seldom does one see a proven vacation rental with receipts that produce over 10% + return on investment. 2017 bed tax records verify income of $232,000. Seller offers attractive rental management options. 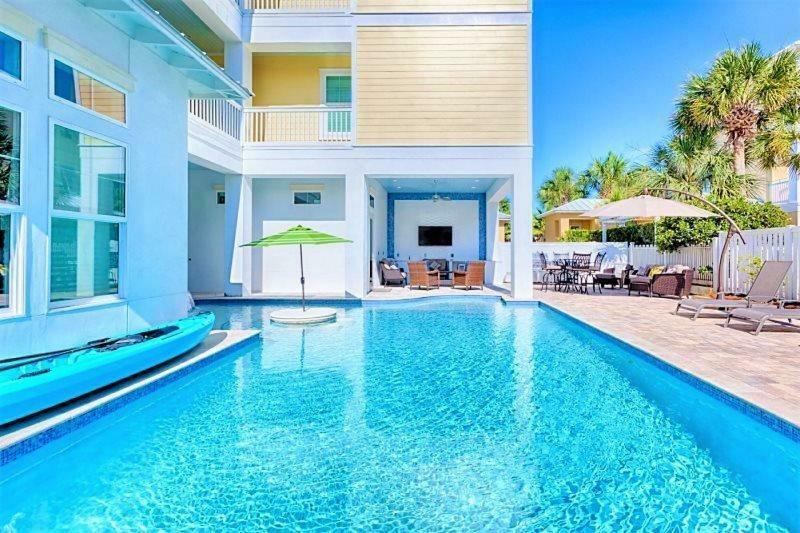 Recent bank appraisal of $2,300,000 is available for serious buyer.This three year old property located in Frangista Beach has hosted corporate events, weddings, golf groups, and multiple family reunions. In December it was selected for an episode of a TV series on Bravo. Spectacular LED lighting in the backyard creates an ambiance of evening relaxation for after hour enjoyment and poolside swimming. 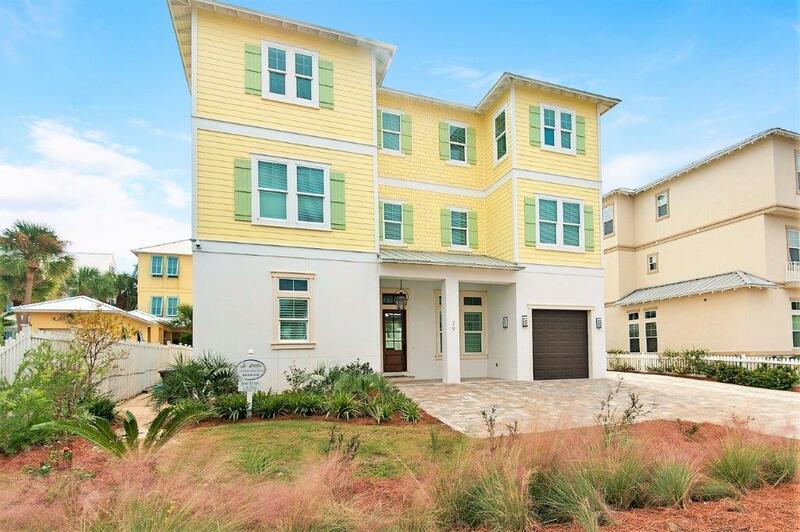 This oversized lot affords a pool environment rarely seen inmost Destin neighborhoods. It boasts one of the largest lots, 65ft. by 100 ft. Guests will enjoy a 55 inch TV poolside. There is a pagoda with Edison lights and a wood burning fire pit for winter enjoyment. Adjacent to the pool is a full bath with special bench and steam bath and shower. Spectacular tile finishing and rimless glass doors are in all baths. The inviting spa allows plenty of room for 10 people. This home was especially designed to be maintenance free as possible with no carpeting or vinyl flooring. All floor surfaces are high end porcelain tile for cleanliness. High ceilings add volume and spaciousness throughout. Enter the front door thru the mahogany door with the gas overhead lantern. Upon entering the house guests immediately see the pool thru large picture windows. The terrific kitchen comes equipped with 2 Kitchen Aide refrigerators and 2 Kitchen Aide dishwashers. Guests will enjoy the quartz counter tops and free-standing island for generous food preparations. Plenty of space and bar stools provided for all to gather for meals. The gas stove and cook top compliment the Summer Kitchen for meals prepared indoors. The outdoor Summer Kitchen is protected from the elements for most food prep. Personal chefs like to cater parties here. Seating poolside with bistro tables is available for guests. 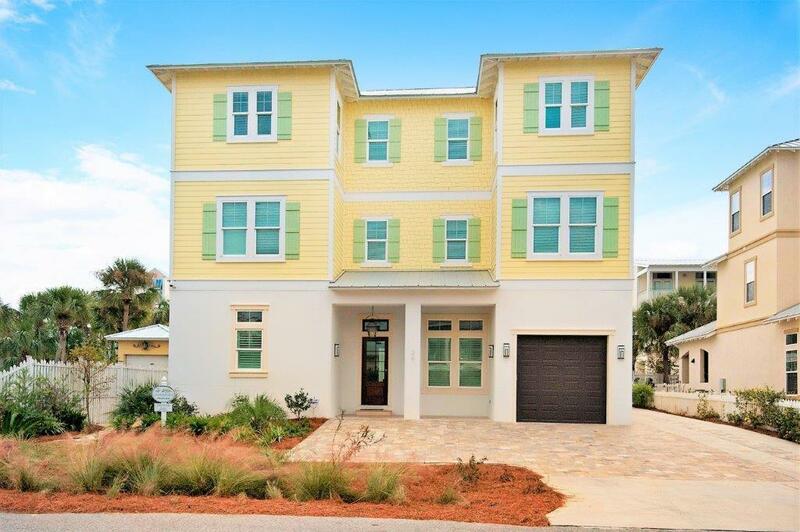 The garage is equipped with a street legal golf cart for guests, (conveys with sale) to use to carry beach equipment and ready to visit local restaurants, stores and coffee shops. This nearly 5000 feet of accommodations has 9 bedrooms and 10 bathrooms. The elevator serves all three floors. Each floor is climate controlled by three separate HVAC systems. Insulation is R30 foam in the attic and R19 in the walls. The windows are high impact glass for hurricane resistance to 130 mph. The siding is cement stucco and hardiplank cement siding. The bedroom layout.....is one queen suite on the first floor and four bedrooms on both the second and third floors. All baths are private with tile and marble finishes. The exception is the built in bunk room with a bath and tub down the hall. There is a Brunswick full size pool table and a four-top table for a sports atmosphere with a large screen TV on the second floor. The third floor entertainment area is great for a peaceful get-away to watch movies or play games - away from the downstairs crowd. Both floors enjoy covered porches with views of the pool at the rear of the home. Truly, "Born to Sun" is impressive and a great investment for a savvy buyer! 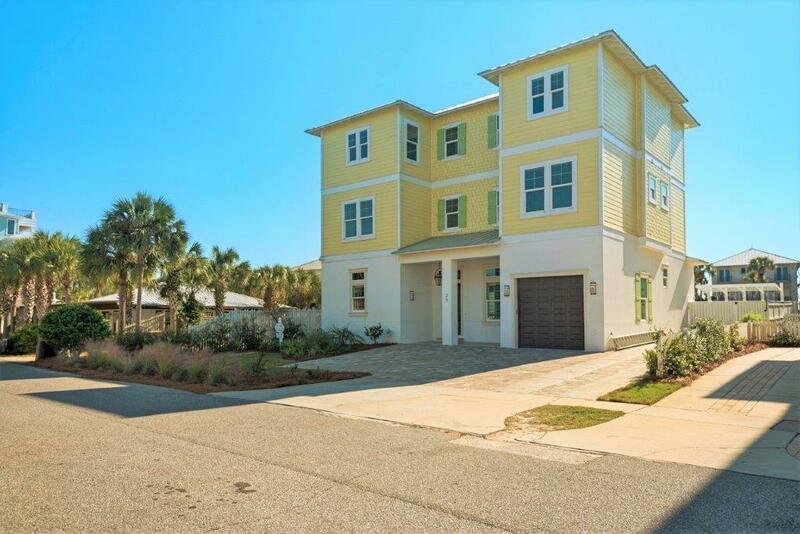 Coded beach access to over 400 yards of white sandy beaches and the emerald green waters of the Gulf of Mexico is just a very short stroll away. Buyer to verify all important data.